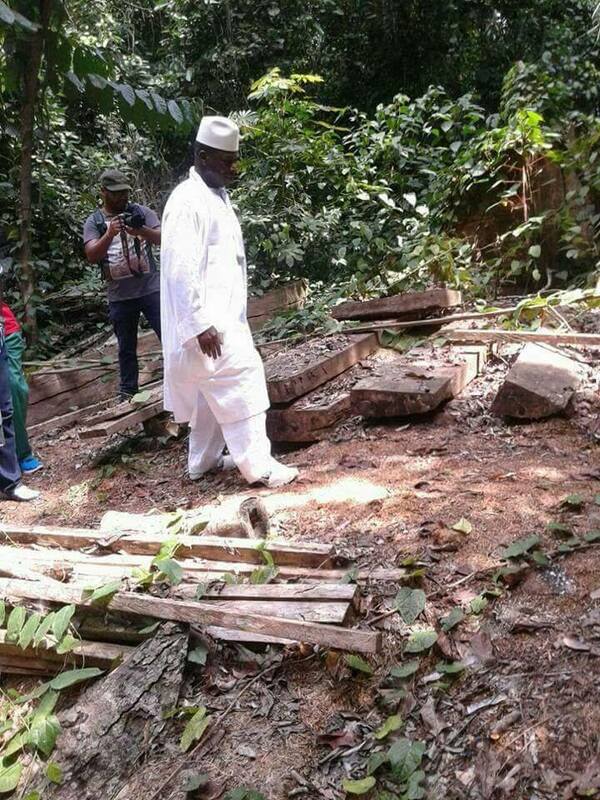 Two months since he left for exile former President Yahya Jammeh seems to be catching up with his much publicized curricular activity—farming. This week pictures emerged of him and host President Teodoro Obiang of Equatorial Guinea inspecting a farm. 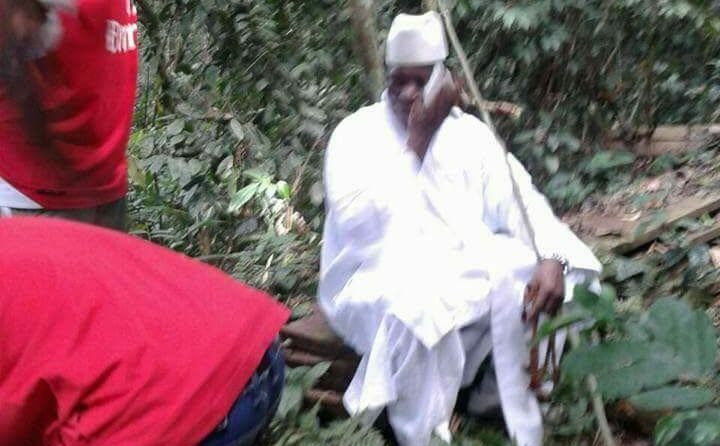 In other pictures Jammeh could be seen in his traditional white robe rummaging through grass and plants assisted by a few aides on the farm. The pictures came a week after a report emerged from News 24 that Jammeh reportedly disclosed plans to take up farming “full time” in Equatorial Guinea where he is currently in exile. 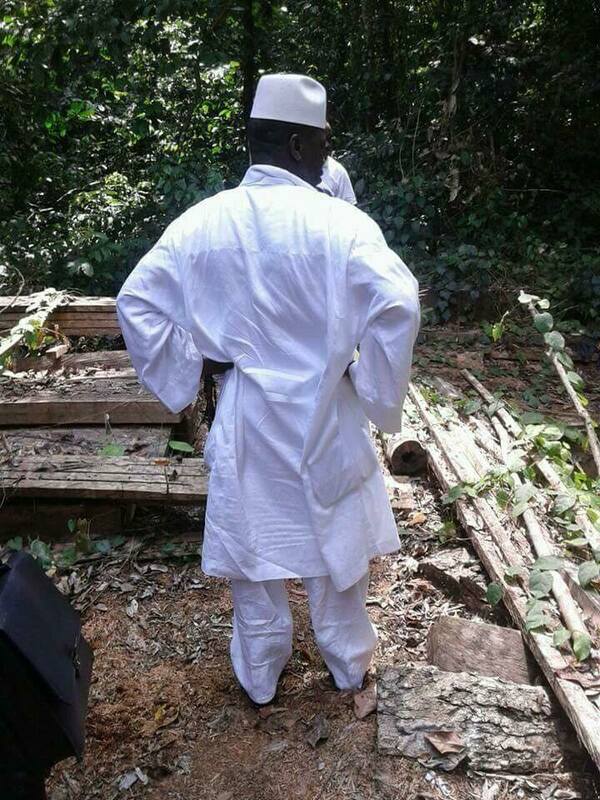 Quoting the Jeune Afrique newspaper, a BBC report recently said that Jammeh was set to go into farming. An unnamed diplomat in Equatorial Guinea was cited as the source of the story, the report said. It was not clear what type of farming he was set to venture into. 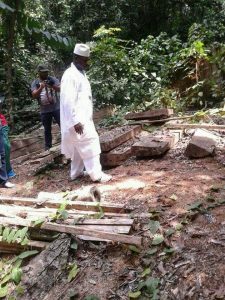 When he was in power Jammeh popularized himself as a great farmer, cultivating vast lands at his home village and other areas in the country often tiled by people his critics say were used as forced laborers. Jammeh flew out to Equatorial Guinea in January from The Gambia, country he ruled for 22 years, to cede power to President Adama Barrow and end a political crisis. He had initially refused to step down after a December 1 election in which Barrow was declared the winner, triggering weeks of uncertainty that almost ended in a military intervention involving five other West African nations.